The common cold or any illness that causes a baby's body to build up excess mucous in the chest and lungs can be devastating for parents. 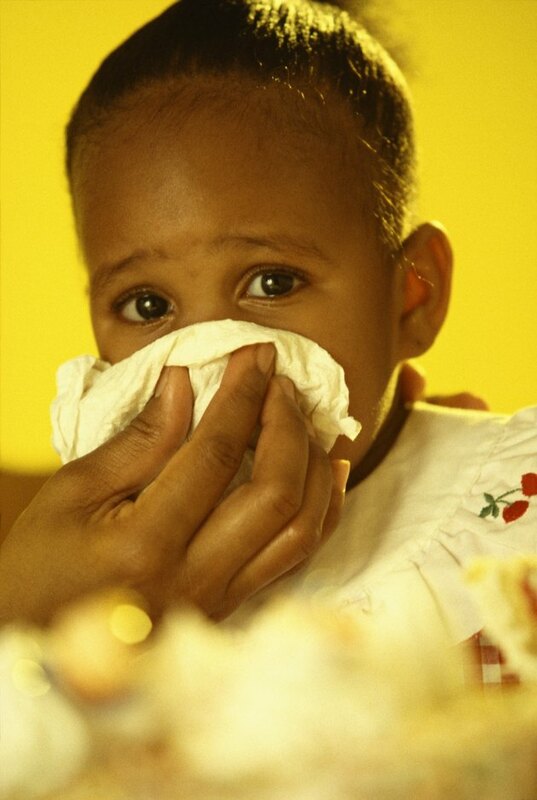 Babies often cannot cough up the mucous on their own, making it harder to breathe as the illness wears on. Fortunately, you can help the baby create a cough strong enough to get rid of the mucous. People use a number of techniques, but only one is safe to use on babies. Some ways that people have used to get a baby to cough include patting the baby in the middle of the back, as if you are burping the baby, sticking a finger in his throat to clear out phlegm, as well as other unsafe methods. To ensure that your baby is safe while clearing his airway, parents should use the percussion method to induce coughing. Parents of children who have cystic fibrosis use percussion to clear the lungs of mucous. One type of percussion is to use a cupped hand to the baby's upper back. This area is clear of delicate bones that a parent might accidentally harm during the procedure. It is also a noninvasive procedure, as it does not require you to stick anything into the baby, which could cause further obstruction or harm. The percussion method requires a cupped hand. Lay your hand flat, palm side down on a flat surface. Arch the hand up at the point where the fingers connect to the palm. The thumb should remain straight, or parallel to the hand. Practice percussing by tapping the cupped hand lightly against your own skin. Make the motion firmer but not enough to cause pain. The goal is to produce a loud sound that is also hollow, according to the University of Chicago Medicine Comer Children's Hospital. The hospital advises that a slapping sound means that the hand is not cupped correctly. Take the baby's clothes off, leaving on a thin shirt. The Cystic Fibrosis Foundation suggests that you position the baby so that gravity helps produce a cough to loosen mucous. You can hold sit the baby on your laps sideways, thereby creating perpendicular angles with your body and his. Lean the baby over a pillow or support his chest with your free hand. With your cupped hand, use percussion on the top right or top left side of the baby's back. Keep the shirt between your hand and the baby's body. Use percussion for up to 40 minutes. For a baby, you will probably need less time. Wipe any saliva or mucous with a cloth as it comes out. Use a bulb syringe to suction the mucous out of the baby's mouth, as it is produced. Your baby may have some difficulty expelling it. Parents should consult their baby’s pediatrician before using any method to induce coughing for any reason.